Be part of the Heritage and Working Vessel Parade and then on the water for the best view of the spectacular evening fireworks. 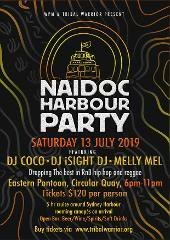 Experience Vivid Sydney aboard Mari Nawi as we cruise amongst the colourfully lit vessels, see the sails of the Sydney Opera House awash with kaleidoscopic design and experience the full canvas of projections. 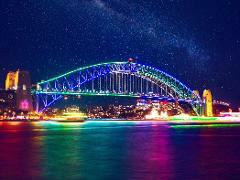 Enjoy front row seats for all the excitement and celebration that is Sydney on New Year’s Eve. 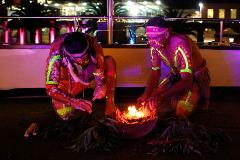 This NAIDOC week experience an unforgettable day on Sydney Harbour with Tribal Warrior. Enjoy the Vivid light spectacular, a buffet dinner and dance and sing the evening away with your fun Karaoke host and DJ from EMK Entertainment! 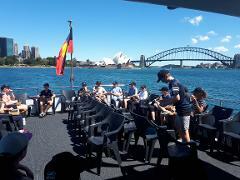 Sydney Harbour Dinner and Karaoke Cruise! Elder's Christmas aboard Mari Nawi - December 11th. 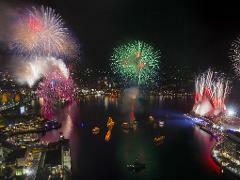 Be part of the Heritage and Working Vessel Parade and then on the water for the evening fireworks.